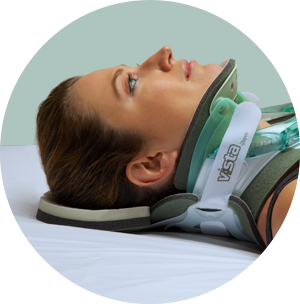 The Vista® ICU Back Panel is designed specifically for patients at risk of occipital skin breakdown due to extended periods lying supine. It easily attaches to Aspen's Vista® Collar without compromising restriction while also helping to minimize the effects of friction from bed shear. Low density white ether foam cradles patient’s head to help maximize pressure distribution. 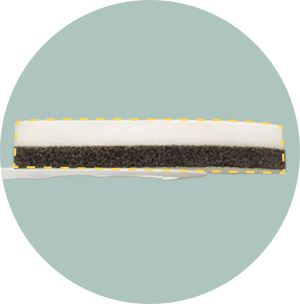 Higher density grey polyurethane foam provides added support and structure. 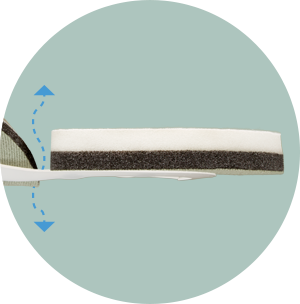 Prevents bed sheer when rotating or repositioning patients. Open design promotes airflow for ventilation without sacrificing support. The Vista ICU Back Panel is designed to disperse pressure, helping to reduce the possibility of skin breakdown. Proven Aspen Pads complete the system by wicking moisture away from the skin. 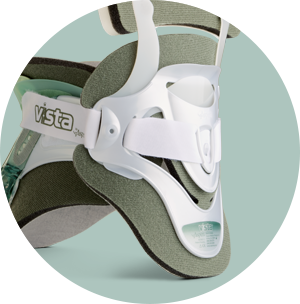 The Vista ICU Back Panel utilizes the standard Vista Collar Back Panel providing the same level of motion restriction. The back panel extension can be removed once the patient becomes ambulatory.